CALGARY — Investors are paying closer attention to the environmental footprint of Canada’s publicly-listed companies, and major banks are responding by offering tools and services to meet growing demand for transparency on carbon emissions. In a report released Thursday, Toronto-based Kingsdale Advisors says environmental, social and governance, or ESG, “has arrived” in Canada, in light of the growing number of such proposals brought forward by investors. “This year, we saw a record number of majority-supported ESG proposals in the United States and a strong reception to proposals in Canada,” the proxy advisor said in a report published Thursday. Significantly, Kingsdale found the number of shareholders in North America abstaining from votes on ESG issues has plummeted over time, falling from an average of 16 per cent of shareholders abstaining in 2010 to just 4 per cent in 2017, as they get more engaged in the issues. Major investors — like BlackRock and Fidelity Investments — are increasingly active in putting forward these proposals and in voting in their favour. “More and more so, you’re hearing not just from niche investors that have a pure ESG mandate but some of our mainstream investors have been asking those questions as well, and that obviously gets the attention of the organization,” said Andrew Craig, director of environmental affairs at Royal Bank of Canada. In recent months, a handful of European banks including HSBC Plc have published new lending guidelines focused on carbon and climate change issues. While Canadian banks have not changed their lending policies, banks here and across North America are offering clients tools to measure carbon risk. CIBC’s carbon tracker competes directly against those developed by companies like Sustainalytics and MSCI Inc.
de Verteuil is part of the team that updated the bank’s carbon risk assessment tool this month, providing investors with emissions data that can be used to determine whether their portfolios are over- or under-exposed to carbon emissions — and the risk of rising carbon taxes. Carbon has been a particular focal point for institutional investors, bank analysts and credit ratings agencies as carbon tax policies could have a material financial impact on several sectors, including the Canadian energy, utilities and mining industries. The federal government has been working to implement a Canada-wide carbon price, but has recently run up against increased opposition from provinces that had previously supported the framework, namely Alberta and Ontario. Analyzing carbon risk is difficult even in consistent policy environments, but recent dramatic changes and some outright reversals in environmental policy both in Canada and the U.S. add to the challenges, according to de Verteuil. RBC is currently working on a scenario analyses of the impact of carbon policies on companies in various industries’ ability to repay their debts, including energy and utilities. 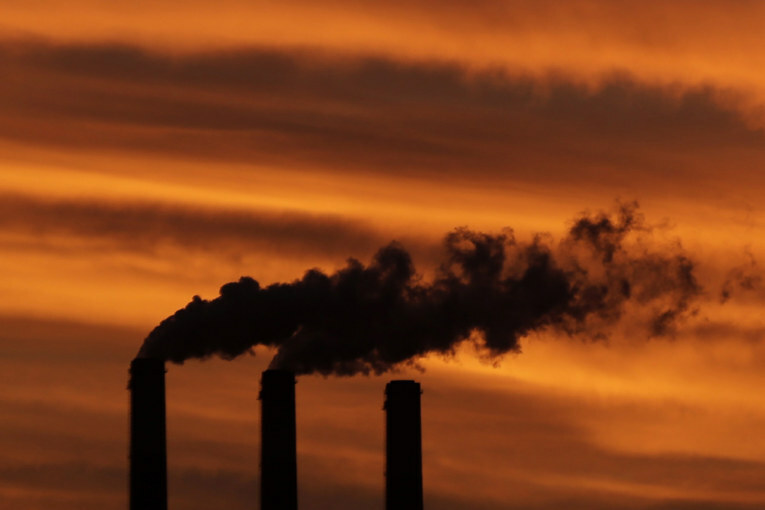 The bank has also begun compiling internal reports on publicly listed companies’ carbon emissions when its financial analysts review those companies’ stock and financial performance, said Jason Milne, from RBC Global Asset Management. The bank is testing the data internally before it’s ready to release it to clients outside the bank. RBC is analyzing companies based on their emissions per $1 million in revenue, and their emissions per $1 million in market capitalization. CIBC’s de Verteuil said his bank’s tool considers a firm’s total carbon emissions divided by its market capitalization, but some investors prefer to divide by factors like number of people employed or total output. Approaches vary across financial institutions and ratings agencies. “Understanding carbon risk in a portfolio can help investors make better decisions,” Chicago-based Morningstar Inc. analysts wrote in a report published in April, which describes how the investment research firm assigns a carbon risk score to the equities it covers. Other banks, such as TD Bank, are still developing carbon risk tools, which is a growing research area that is expected to generate more disclosure and research in the coming years given investor interest. Canadian energy and mining companies Suncor Energy Inc., Imperial Oil Ltd., Canadian Natural Resources Ltd. and Teck Resources Ltd. were among the 100 companies on the list. At the moment, Canadian banks and credit ratings agencies say they are focused on quantitative analysis of carbon, and not making value judgements on where their clients should invest. “One difference between our approach and many of the other providers is that we are very focused on financial materiality and financial impact,” Moody’s Investors Services senior vice-president Swami Venkataraman said. By way of example, Venkataraman said that average credit ratings of European utility companies are down three notches over the last 10 years as carbon prices have come into effect on the continent. Moody’s has also been changing the ratings’ on account of climate change, and including more commentary in its ratings actions on how carbon risk assessments or climate change issues are affecting an issuer’s credit rating.